Make this beautiful oceanfront condo your next investment, rental, or true second home today! This 2 bedroom, 2 bath, top floor condo offers panoramic ocean views as it overlooks the Atlantic Ocean from all angles. This condo has a fully equipped kitchen with formica countertops and stainless steel appliances, a spacious living space with an electric fireplace, and large dining area, perfect for entertaining all of you family and friends! 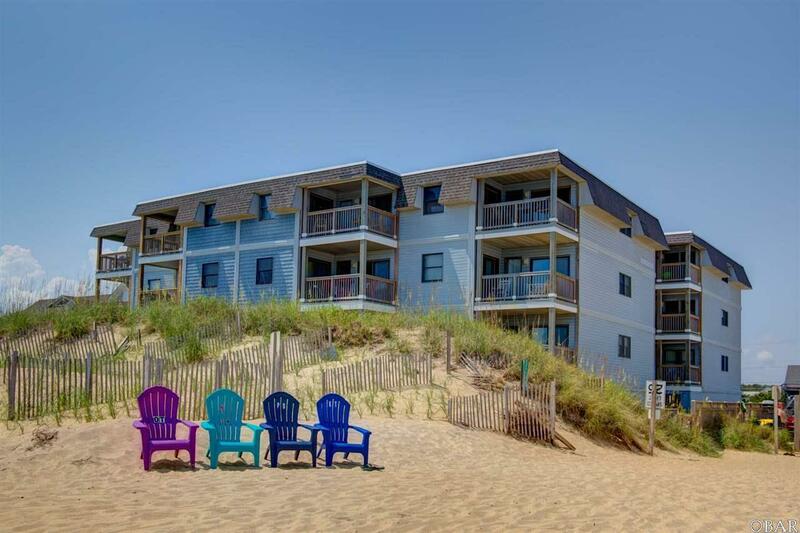 The condo is also located centrally in Kill Devil Hills, close to a variety of restaurants and fine shopping. Listing courtesy of Trisha Midgett of Midgett Realty - Rodanthe.